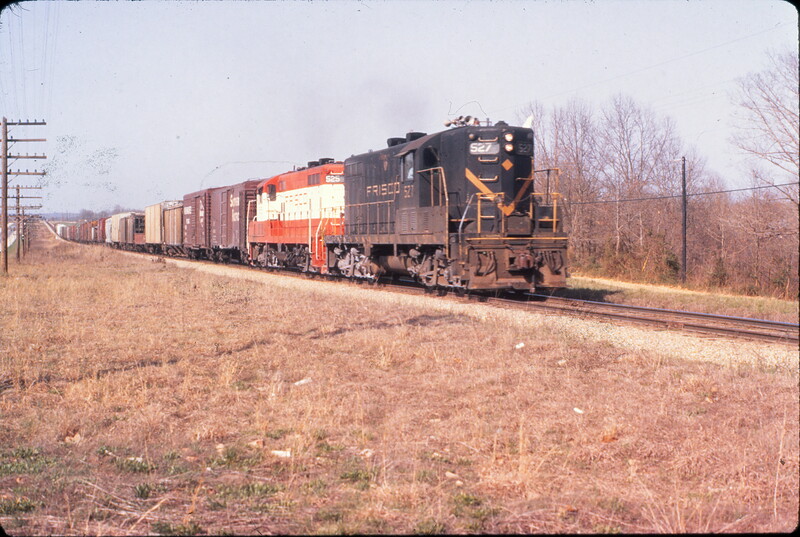 GP7s 527 and 525 at Avoca, Arkansas in April 1970 (Mike Condren). 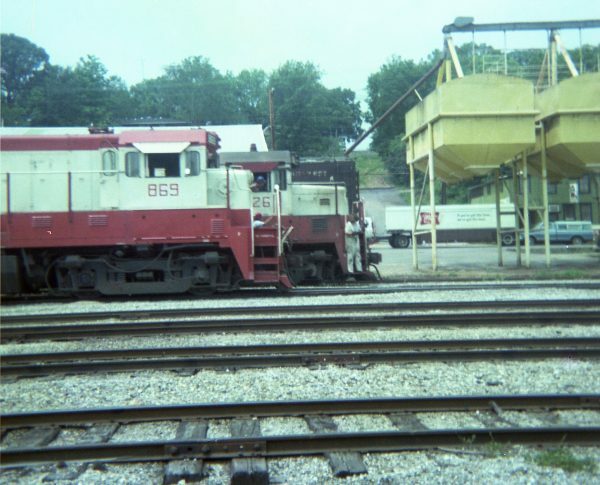 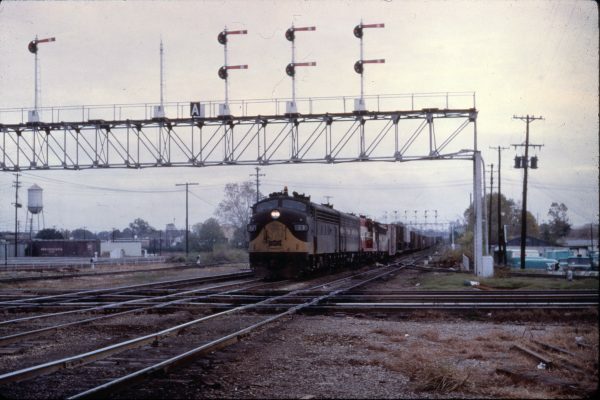 B30-7 869 and U25B 826 at Thayer, Missouri on June 23, 1978. 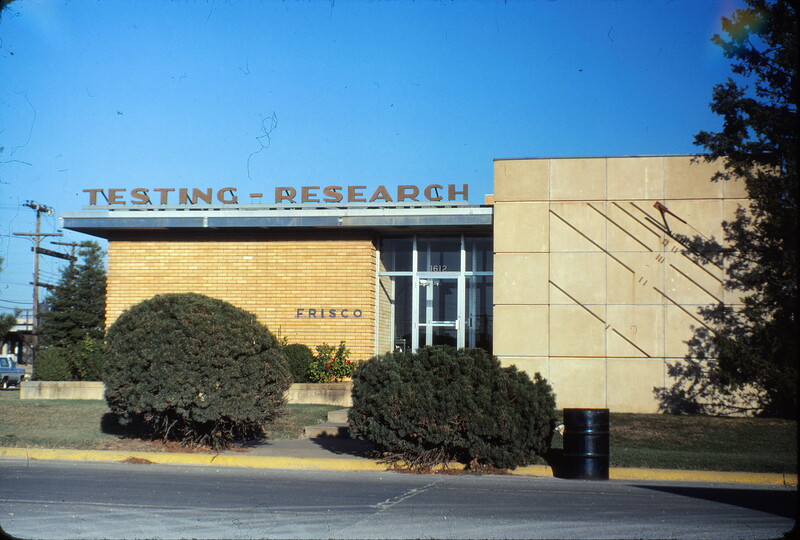 Testing-Research Building at Springfield, Missouri on October 8, 1980. 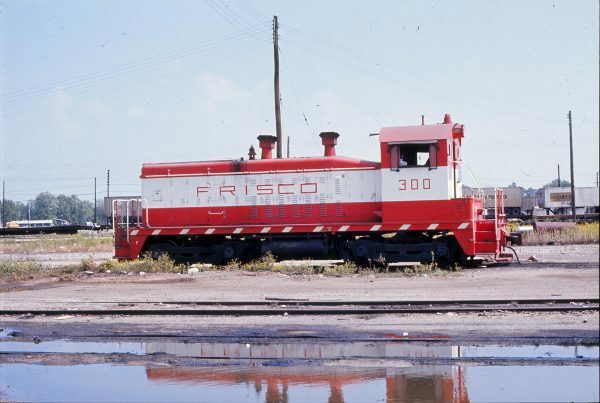 SW7 300 (location unknown) in September 1972. 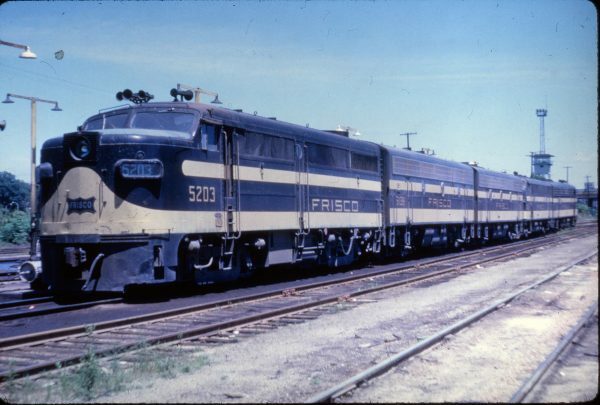 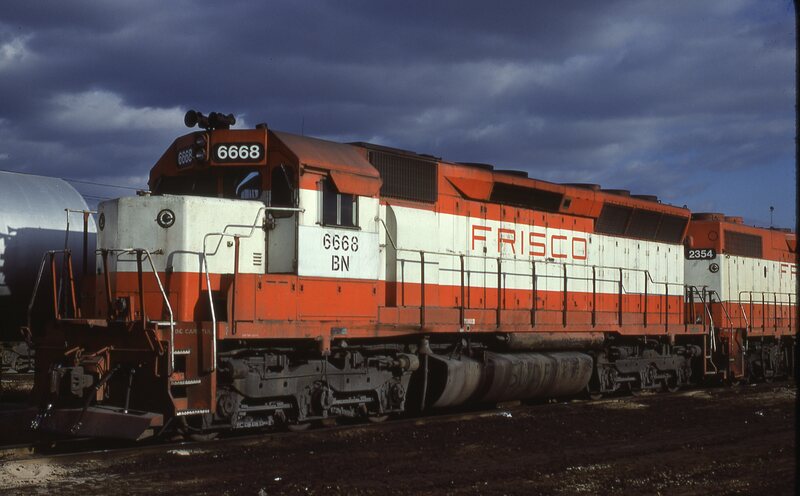 SD45 6668 (Frisco 919) at Memphis, Tennessee in January 1981 (Steve Forrest). 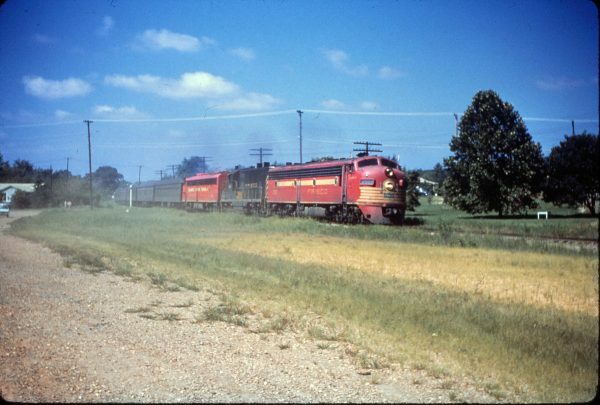 E7A 2002 (Comanche) at Van Buren, Arkansas on August 19, 1963 on a troop train (Mike Condren).